Super Prime Cement Primer is a water based Interior wall Primer specially Formulated to provide an excellent foundation for painting of wall finishes such as Distempers and Emulsion Paints. Super Prime Cement Primer is suitable for priming plastered walls, asbestos, cement, concrete etc. We have emerged as one of the leading traders and suppliers of a quality range of primers. Owing to their exceptional features, these primers are widely used as thinners in both, industrial as well as domestic range of paints. These are fabricated by our certified vendors who use high grade inputs and updated technology in the manufacturing process. Moreover, we supply these primers within the stipulated time at very affordable prices. Our company is among the most sought after offering Water Based Primer to the clients. This product is formulated with the use of superior quality material and modern technology under the guidance of our dexterous experts. Water Based Primer is packed in air sealed packets of different quantities to ensure safe transportation. Best for masonry and asbestos surfaces. BP Cement Primer (WT) is manufactured with special type of acrylic binder and micro fined pigments along with extenders and different additives. It is air drying primer for masonry providing hard tuff film. 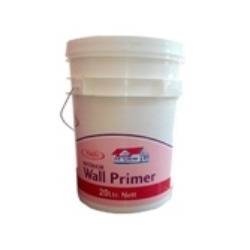 Our Interior Wall Primers are well known in the market as we manufacture and supply high grade quality Interior Wall Primers. 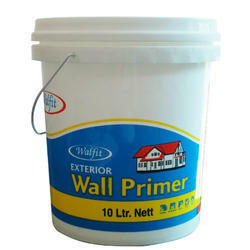 Our Interior Wall Primers are available in various specifications. It is used to ensure excellent and smooth surface finish. 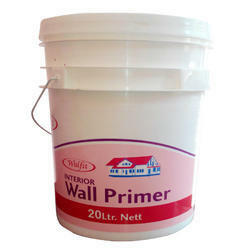 The Interior Wall Primers are needed while painting the walls for protecting walls against moisture. We offer it to our customers at affordable prices. Looking for Water Based Cement Primers ?